The Taoiseach has told the Dáil that the Cabinet has agreed €100 million in savings to meet the cost overruns at the National Children's Hospital. The largest single saving comes from the delays to the construction of the A5 Dublin to Derry road, totalling €27m. Some €10m will come from delayed payments for the National Forensic Science Laboratory building. There will be €10m saved from the Department of Education's budget to build a school at the National Children's Hospital, because the project is behind schedule. The impact on health will be restricted to delivering some smaller capital works, such as repairs and replacement over a longer period, according to a spokesperson for the Minister for Health. She said no project will be deferred, saying it was clear that "contrary to the scaremongering we have heard we are not talking about delaying or deferring any hospital project, we are not talking about any primary care centre and we are not talking about any community nursing unit". Mr Harris's spokesperson said there will still be an allocation of over €70m to this area in 2019, which is a significant increase on the 2018 provision. "As the Taoiseach and the Minister for Health have consistently said, the impact is manageable within the overall capital budget". Minister for Finance Paschal Donohoe said: "In meeting these funding pressures we have examined all our projects and programmes across Government. "Where projects are, due to external issues, paused such as in the case of A5 motorway in Northern Ireland, we moved those currently unused funds to where they are needed now. 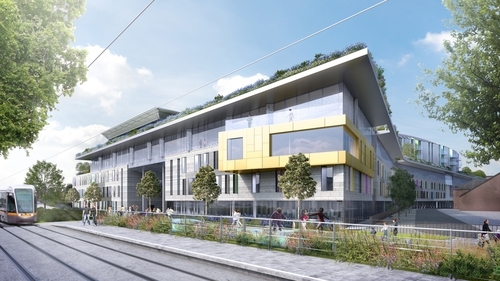 "Where the timing of draw-down of payments could be updated without jeopardising the pace of project planning, design and delivery, we have made adjustments to ensure that the much-needed National Children's Hospital will be delivered," said Mr Donohoe. The Taoiseach said accountability was not about witch hunts and the baying mob. Sinn Féin leader Mary Lou McDonald had urged him to relieve Minister for Health Simon Harris of his duties. She said Mr Harris had information that was not shared with the Government or Fianna Fáil. She added this is not simply bad management but it was also about concealing information. This afternoon Mr Harris apologised to the Dáil for an answer he gave to the House on 18 September 2018 about the children's hospital project. He said at the time of answering he was not in a position to give "commercially sensitive figures". However, he said that he should have answered it more fully as it was never his intention to mislead the house.